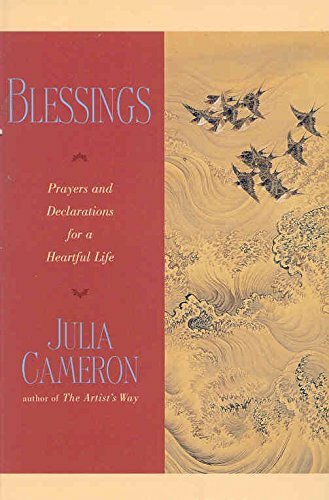 "THE ARTIST'S WAY by Julia Cameron is not exclusively about writing--it is about discovering and developing the artist within whether a painter, poet, screenwriter or musician--but it is a lot about writing. If you have always wanted to pursue a creative dream, have always wanted to play and create with words or paints, this book will gently get you started and help you learn all kinds of paying-attention techniques; and that, after all, is what being an artist is all about. It's about learning to pay attention." "The premise of the book is that creativity and spirituality are the same thing, they come from the same place. And we were created to use this life to express our individuality, and that over the course of a lifetime that gets beaten out of us. [THE ARTIST'S WAY] helped me put aside my fear and not worry about whether the record would be commercial." 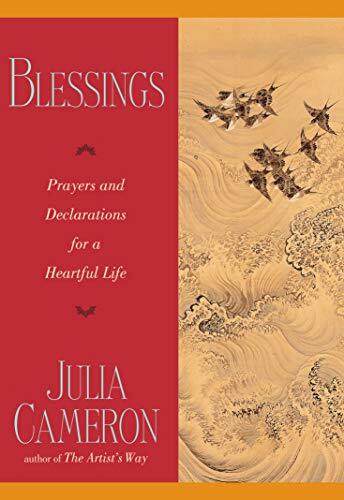 "Julia Cameron brings creativity and spirituality together with the same kind of step-by-step wisdom that Edgar Cayce encouraged. The result is spiritual creativity as a consistent and nourishing part of daily life." "I never knew I was a visual artist until I read Julia Cameron's THE ARTIST'S WAY." "Julia Cameron's landmark book THE ARTIST'S WAY helped me figure out who I really was as an adult, not so much as an artist but as a person. And award-winning journalist and poet, Cameron's genius is that she doesn't tell readers what they should do to achieve or who they should be--instead she creates a map for readers to start exploring these questions themselves." "This is not a self-help book in the normative sense. It is simply a powerful book that can challenge one to move into an entirely different state of personal expression and growth." "THE ARTIST'S WAY (with its companion volume THE ARTIST'S WAY MORNING PAGES JOURNAL) becomes a friend over time, not just a journal. Like a journal, it provokes spontaneous insights and solutions; beyond journaling, it establishes a process that is interactive and dynamic." "If you really want to supercharge your writing, I recommend that you get a copy of Julia Cameron's book THE ARTIST'S WAY. I'm not a big fan of self-help books, but this book has changed my life for the better and restored my previously lagging creativity." "Working with the principle that creative expression is the natural direction of life, Cameron developed a three month program to recover creativity. THE ARTIST'S WAY shows how to tap into the higher power that connects human creativity and the creative energies of the universe." "THE ARTIST'S WAY is the seminal book on the subject of creativity and an invaluable guide to living the artistic life. Still as vital today--or perhaps even more so--than it was when it was first published in 1992, it is a provocative and inspiring work. Updated and expanded, it reframes THE ARTIST'S WAY for a new century." "THE ARTIST'S WAY has sold over 3 million copies since its publication in 1992. Cameron still teaches it because there is sustained demand for its thoughtful, spiritual approach to unblocking and nurturing creativity. It is, dare we say, timeless." "For those seeking the wellspring of creativity, this book, like its predecessor, is a solid gold diving rod." Focusing on gratitude and one's personal ability to affect positive change on the world, the author of The Artist's Way offers an inspirational collection of prayers designed to encourage harmony and help readers cherish the gifts they have been given. Original. 50,000 first printing.